Pam’s father is a vet, so she’s used to being around sick animals. But when her pony Lightning is taken ill, nobody seems to know what’s wrong. Time is running out for Lightning. Can the Pony Pals work out what’s making her sick… before it’s too late? Jeanne Betancourt lives in Connecticut. 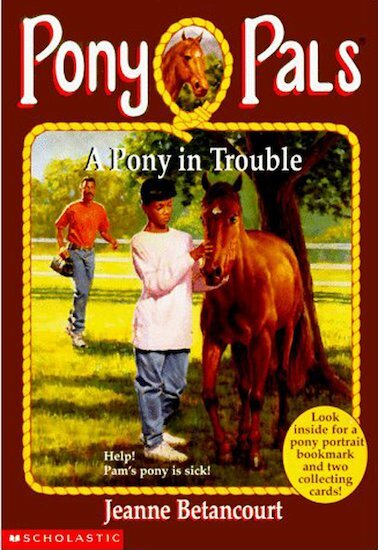 In addition to the Pony Pals series, she has written fourteen novels for children and young adults. Four of these were honoured by the Children’s Choice Awards.